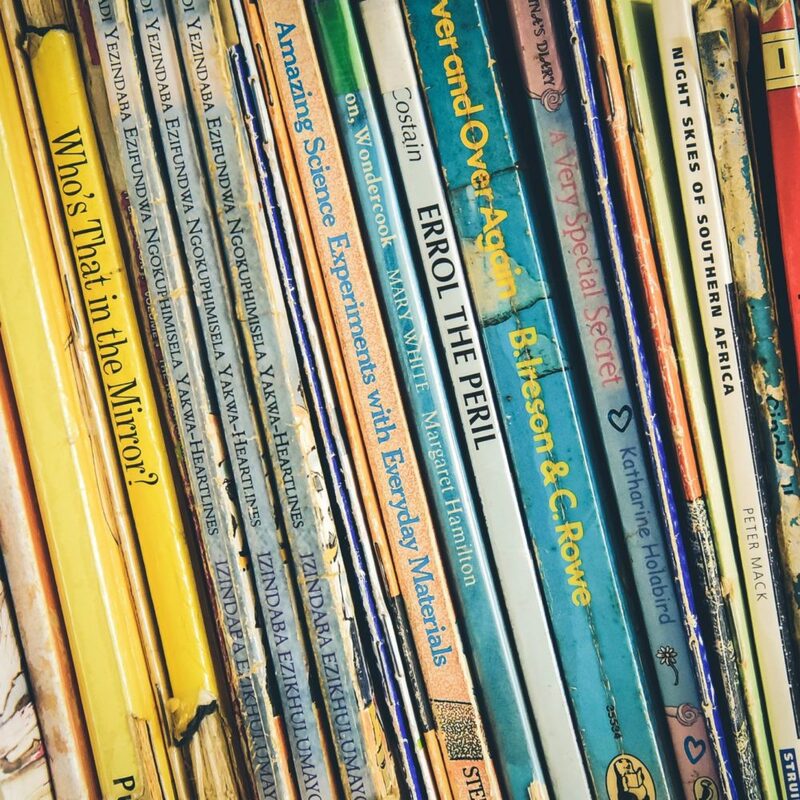 A few years ago,when I was doing my coaching certification program, I wrote this short article on the wonderful lessons found in children’s literature. These lessons can be applied to any part of life, including riding. I thought I would share this now. If you ave favorite quotes from children’s literature I would love it if you shared it in the comments below. Enjoy! I have seen this quote a few times when someone shared it on Facebook and each time I read it I love its simplicity and how it is really what the coaching relationship is all about. I like it so much I have it saved in my business folder as I want to use it as part of my coaching model or power tool. It was just shared again recently and it made me think about how many profound quotes there are from all types of literature that relate to coaching. Though coaching has not been a formal practice for many years, wise literary minds from history often pondered on life’s purpose and our potential if we just tap into it. They write great life lessons with their words reminding us that we need to be authentic and if we are, we have all the power we need to live our best, most wonderful lives. Those are just a few of a myriad of profound, coaching related quotes from children’s books. Winnie the Pooh is full of them. So much so that Benjamin Hoff wrote “The Tao of Pooh” (a favorite book of mine) using “Winnie The Pooh” to explain Taoism to Westerners. Children often get these wonderful messages from the books they read (that is if reading is a priority in their young lives…). Unfortunately throughout life they also get many different messages that create negative underlying beliefs. They are told to become someone they are not and often do so in order to fit in. That is unfortunate. But that is where our role as a coach becomes important. We have a mission to remind our clients of those beautiful messages from their children’s stories and that they can live their most authentic, best life. I would recommend to anyone who reads this, to Google quotes from their favorite children’s stories and listen to the messages they deliver. Read the “Tao of Pooh” and see the simplicity and beauty of the wisdom of all of the characters in the book. You will find when you do, that….. I was feeling stuck and the creative juices did not want to flow. This spring was long in coming in the Northeast and between that and being very busy in March and April (a good thing!) I got somewhat behind on my blogging and social media posts. It wasn’t so much because of a lack of time, but more because I was feeling stuck and the creative juices did not want to flow. I did do posts and even weekly quick tips and kept plugging away at things, but nothing really inspiring came to me, particularly for my longer blog posts. I sat with this “stuckness” and tried not to worry about it too much as forcing something to happen just wasn’t going to work. Beating myself up for this wasn’t going to serve any purpose. Focused on taking care of me and doing things that filled me up with joy. What I did instead was to focus on taking care of me and doing things that fill me up with joy. The main thing that does that this time of year is working on my patio garden. It becomes my outside office for the summer. 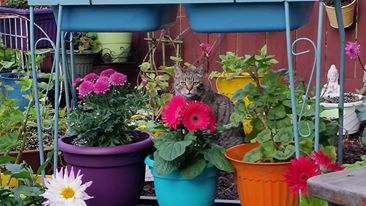 It is filled with beautiful flowers and lots of color and it helps to recharge my soul. It did just that! Low and behold I am now motivated and wanting to write. 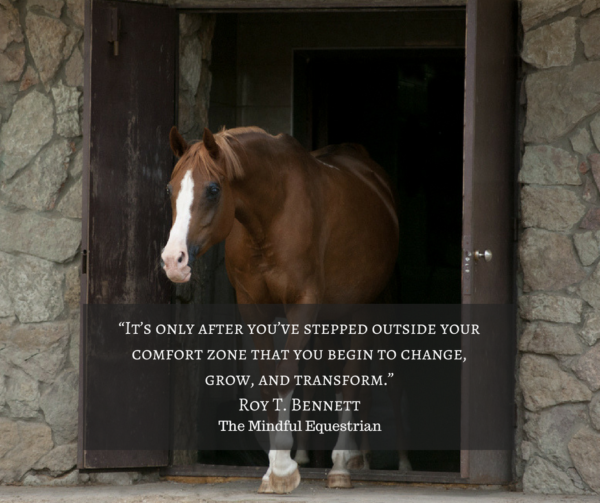 In fact, I am starting to write a book around mindful riding filled with my quick tips and suggestions for a more mindful and focused life on and off the horse. I realized that during this stuck time lots of things were brewing in my head and I needed just to get away from worrying about producing things. As I took a break, took care of me and let go of forcing my creativity, ideas began to come together and I now feel recharged. Sometimes plateaus are reached and riders can feel stuck and frustrated. As I was thinking about this I thought I would share it with you as this can happen in riding and training as well. Sometimes plateaus are reached and riders can feel very stuck and frustrated. They may feel that no progress or learning is happening. In fact, it is in these times that real learning and creativity is occurring. When frustration is replaced with patience and self-compassion wonderful things can occur. You will suddenly realize you have reached another level in your riding. So, next time you feel stuck and frustrated be kind to yourself and take a break from trying so hard. Keep moving along but don’t try and force results. You will be pleasantly surprised how eventually self-growth and positive things will occur. Be patient. 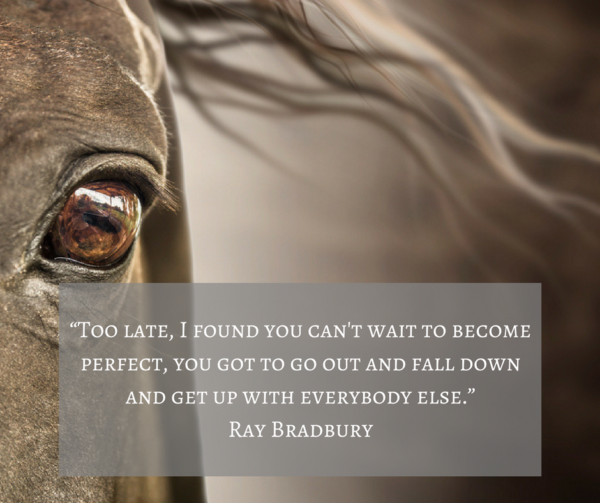 Do you aspire to be perfect in everything you do? How can you maintain your desire to do your best work and move past the need for perfection? Shift your perspective to doing just that, your best work on that day. Each day and situation is different and as long as you are doing your best, you will get the best outcome for that moment. Then look at your outcome, without judgment, and analyze what went well. Focusing on the positive aspects of an outcome will help you build on the positive for next time. Then look at what you would like to change and learn as much as you can. Get a better understanding of any mistakes or missed opportunities, focusing on what wasn’t working and what changes could be made, letting go of any blame or regret. How can you maintain this practice? As you go forward, apply the new changes and repeat the same cycle of doing your best, building on what is working, adjusting what isn’t without blame or judgment, and learning and growing. When you feel the need for perfection welling up, don’t beat yourself up for it. Just sit with it, be aware, let go and try and shift your perspective. Even this practice is not perfect. Nothing is. Learn from what works and what doesn’t, hold yourself with compassion and let go of self-judgment. Your will begin to feel a great sense of freedom and peace each time you do so. 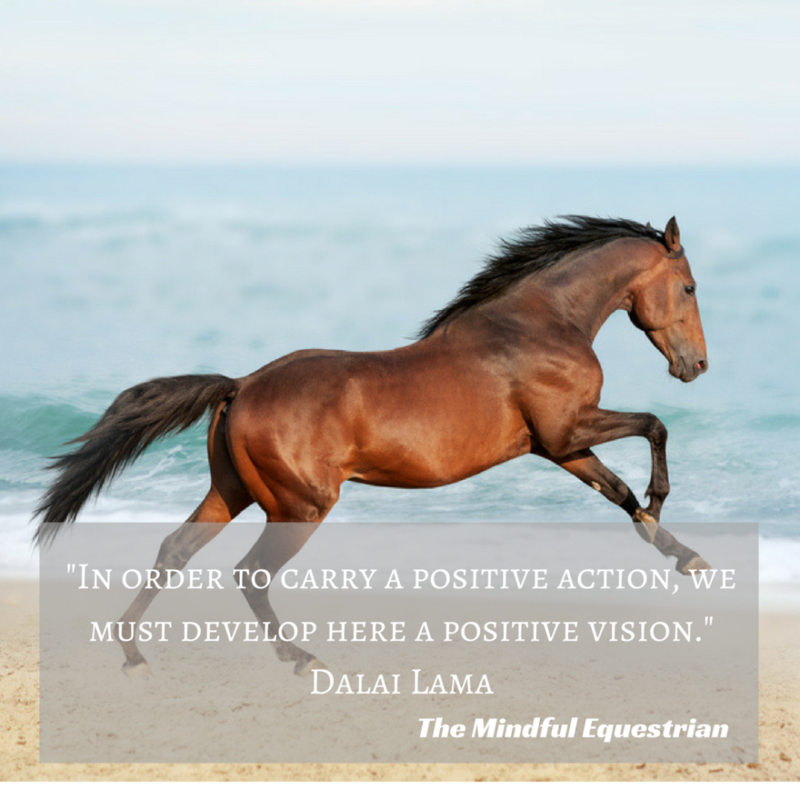 Exciting things are happening at The Mindful Equestrian!!! 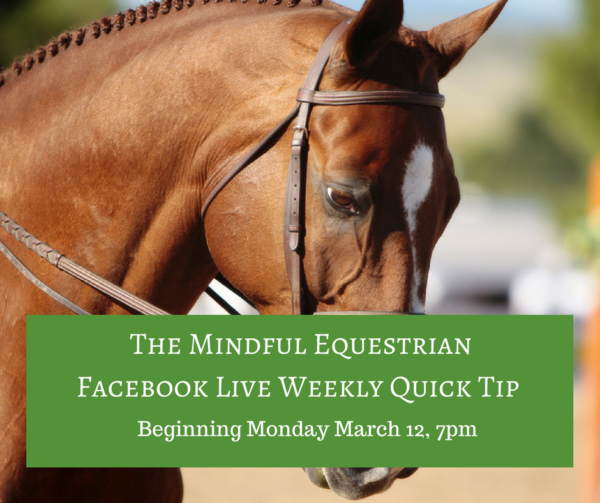 Beginning Monday March 12th at 7 pm I will be live weekly with a Mindful Equestrian Weekly Quick Tip. I will do a quick tip every Monday at this time as my schedule permits. If I have to change the time I will let you know. The quick tips will be saved so you can go back and see them later. I will also be happy to answer any comments or questions around the quick tip topic of the week. 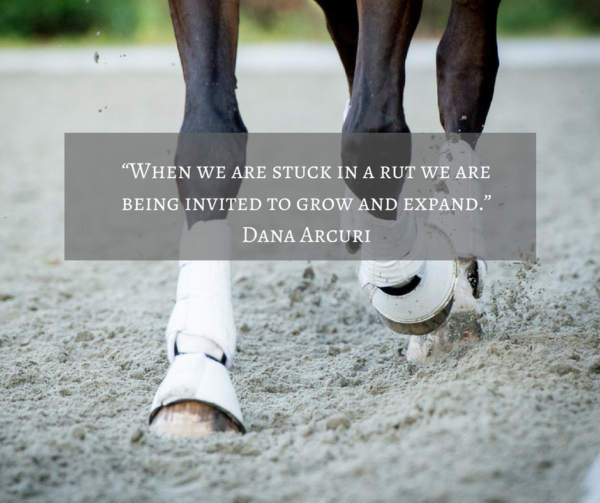 So, try and join me live so you can get feedback from me and connect with The Mindful Equestrian community. Each week I will let you know what the topic for the next week will be so you can plan ahead. The quick tips themselves will be just a few minutes long, but I will be happy to stay live to answer comments and questions. I am excited to create this new program. I hope to see you Mondays at 7! Comment on this post with any subjects you would like me to cover.